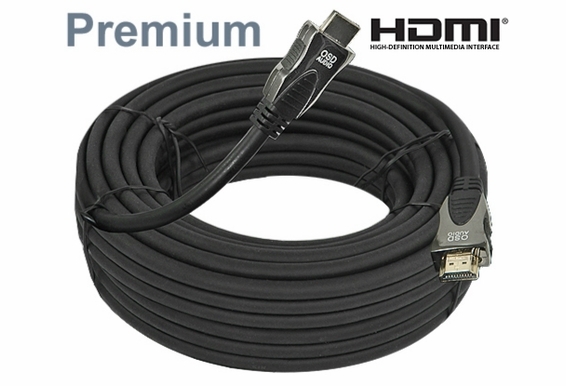 Our 50-foot-long high-speed HDMI cable with Ethernet supports the latest HDTV formats like 3D and 1440p V1.4 with extra bandwidth to accommodate future format enhancements. Our HDMI cables embrace the latest high-def multimedia interface technologies. If you've got old cables supporting your high-def TV, trade them for the superior results you'll discover with high-speed HDMI cables. "The picture and sound are incredible," wrote one happy customer. "Great cable, great price." 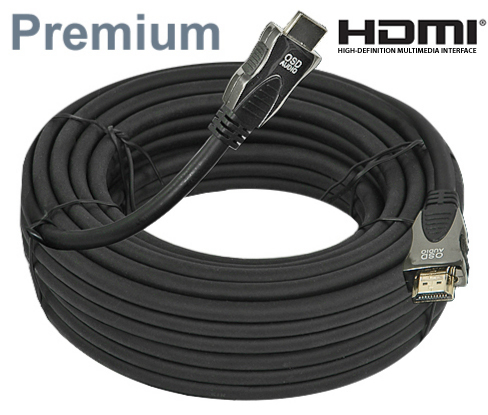 Keep in mind that these 50-foot HDMI cables will require extenders in most cases if you require longer lengths. Enjoy maximum noise reduction and signal strength with these high-density cables made of 100 percent pure copper wire with triple-layer shielding. Our cable has 24K gold-plated contacts that resist corrosion with a gold-plated internal shield for durability and heavy-duty internal dual strain relief. This cable is CL-3 rated for in-wall use. It's RoHS-compliant to meet today's top standards for Restrictions on Hazardous Substances. 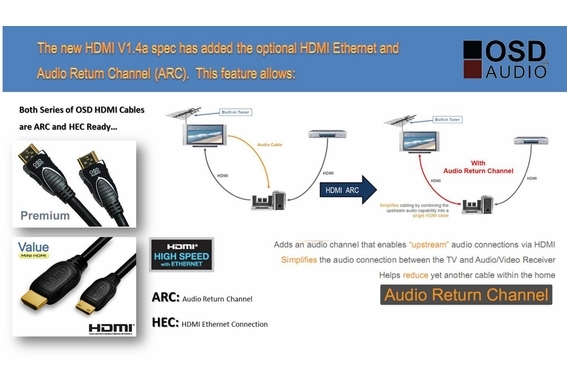 Does OSD Audio HDMI Cable support the latest video formats like 3D and 1440p? 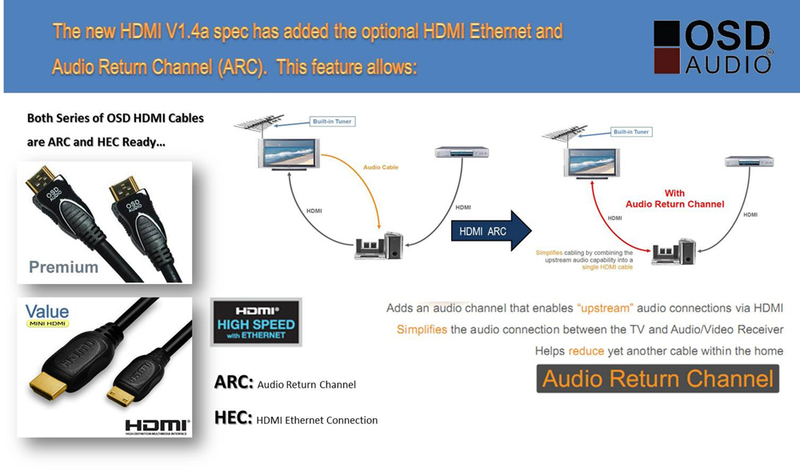 Yes, both OSD Value and Premium versions of HDMI cable offer High Speed V1.4 with Ethernet. Both support 3D and 1440P. Will I need an HDMI extender with this cable? Our HDMI cables use the latest technology in HDMI and are tested at much higher speeds than required. Customers are frequently able to use longer lengths, such as the 100 feet without the need of an extender. However, runs over 50 feet sometimes require an extender.